Visiting around nature, everyday life in Satoyama settlement, and historical sites. 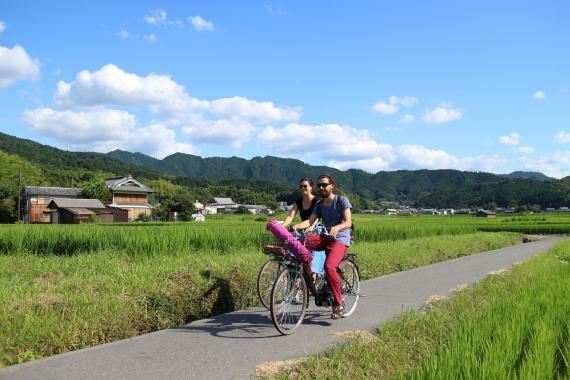 This is a 3-hour cycling tour visiting around nature, everyday life in Satoyama settlement, and historical sites. A local instructor will take you around the Asuka village by bicycle at a leisurely pace. Even if it is your first visit to Asuka, they say you’ll feel nostalgic somehow, and foreign visitors are no exception. During the tour, you’ll enjoy solving the mysteries of ancient tombs and ancient stone structures; imagining the ancient city of 1,400 years ago; and strolling along beautiful terraced rice fields that are beyond description. 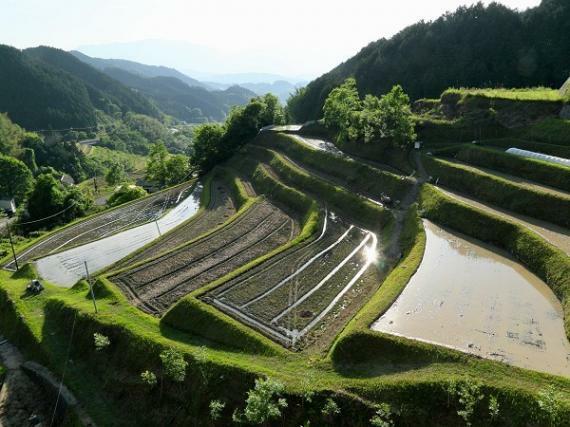 You’ll also visit and see everyday life in the country side with peaceful views of Satoyama settlement. This cycling tour offers you exquisite experiences; seeing, hearing, feeling, thinking, and imagining. Why don’t you enjoy a cycling tour while greeting local villagers and communicating with them along the way? Ancient tortoise stone called Kameishi. Visit the Ishibutai Tumulus, a major spot. Please ask us for the availability during the year-end and New Year holidays. and take a lecture on measures in case of emergency. 9:15　Set out for cycling! 1. A short stop at the Mausoleum of the 29th Emperor Kinmei. - What is it like inside an ancient tomb that is managed by the Imperial Household Agency? 2. 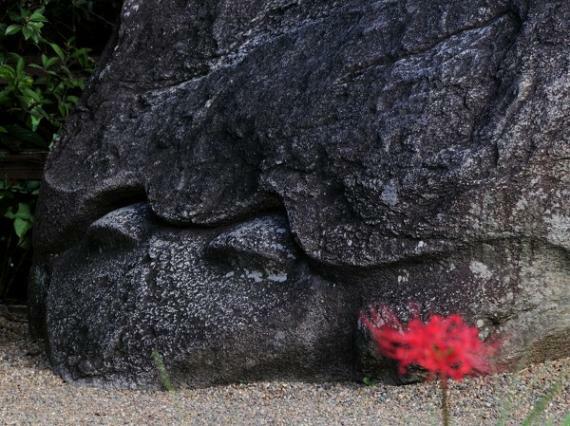 Solve the mysteries of ancient tortoise stone called "Kameishi." - Mysterious legends and for what purpose it was made in the first place!? 3. Learn about the landscapes in Asuka village protected by the "Ancient Capitals Preservation Law." and even convenient stores have tiled roofs? imagine the days of 1,400 years ago. of ancient Japan was established. 5. Let’s go to Oku-asuka; the place of movie shooting! which are one of the best 100 in Japan, as well as gigantic scarecrows are must-sees! which is assumed to be made in the Asuka period (6th - 8th century). 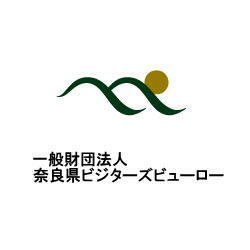 - Explore and see everyday life of Satoyama settlement in Inabuchi area. 6. 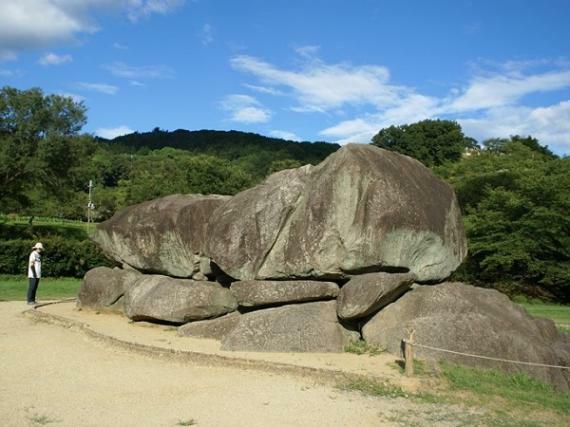 Visit the Ishibutai Tumulus, a major spot in Asuka village. - Let’s go inside the Tumulus; horizontal stone chamber. Around 12:00 The tour ends. - A bicycle saddle is adjustable for a height range of approx. 140 cm to 185 cm. - Please let us know beforehand if your height is other than the above range. - Please come in comfortable clothing and shoes suitable for cycling. - Maybe useful to bring a backpack type bag, a hat, and sunglasses. - 20 minutes from Katsuragi Interchange of Minami Hanna Road. - 40 minutes from Kouriyama Interchange of Keinawa Expressway. Take a train from Kyoto Station, Kintetsu Railway, change trains at Kashihara Jingumae Station, and get off at Asuka Station. * Please check train routes and connections beforehand.The number of trains is limited. English is also available with simple English and flip cards. If you don’t show up at the meeting place on time, it will be regarded as a cancellation by you. The tour will be on even if it rains. * Note that if a weather warning or advisory is issued in Asuka village as of 7:00 AM on the day, the tour will be cancelled with a full refund. It is possible for you to use a bicycle after the tour ends, but please return it by 17:00 to the bicycle rental shop near the meeting location. * Please consult with a local attendant if you’d like to return the bicycle to a different place. A cancellation fee shall be charged as following if you cancel your booking. Please accept this cancellation policy before booking.